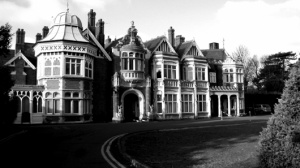 Over the weekend of May 20th to 22nd a group of modern codebreakers were called on by Good For Nothing to help build useful stuff to help Bletchley Park celebrate its amazing past and create an exciting new future. Check-out some of the details below of their Bletchley Park Challenge for information and inspiration. If you are interested in getting involved as part of the GFN community, you can find information about future events on www.goodfornoth.ning.com . BlueVia Business Models from BlueVia on Vimeo. If you are planning to drive to the venue, please consider posting on our ride share page. London Euston, Milton Keynes Central (for InterCity connections), Coventry and Birmingham New Street. Bedford Midland (except Sunday) for connections to London Thames Link, East Midlands and South Yorkshire. Turn right out of the Railway Station on to Sherwood Drive. Cross the road at the pedestrian crossing. Bletchley Park entrance is approximately 100 yards ahead of you. There are buses and coaches from all parts of Milton Keynes and beyond arriving at Bletchley Bus Station. On leaving the Bus Station head towards the Railway Station. The Bletchley Park entrance is on the opposite side of the road to the railway station 300 yards along Sherwood Drive. For a downloadable version of the map below, please click here. Please note: Milton Keynes is divided into grid squares, with roads numbered either as horizontal (H) or vertical (V). At M1 Jct 14 follow the A509 signposted towards Milton Keynes. At the Northfield roundabout take the 2nd exit onto H6 Childs Way. At the Fox Milne Roundabout take the 1st exit onto the V11 Tongwell Street, and carry on straight across the next roundabout (Monkston). At the Brinklow roundabout turn right onto the H8 Standing Way (signposted to Kents Hill). Follow the H8 across 4 roundabouts, at the 5th (Coffee Hall) turn left on to the V7 (B4034) Saxon St. Continue across the first roundabout, at the 2nd Denbigh (has large B&Q on the right) take the 2nd exit towards central Bletchley. You will quickly come to a small double roundabout, continue straight across towards central Bletchley keeping the Tesco’s store on your left hand side. You will now be on a dual carriageway. At M1 Jct 13 follow the A421 signposted for Milton Keynes. At the 2nd roundabout (Kingston) take the 2nd exit on to H9 Groveway. Follow the H9 across 3 roundabouts, at the 4th turn left on to the V7 Saxon St. Continue across the first roundabout, at the 2nd Denbigh (has large B&Q on the right) take the 2nd exit towards central Bletchley. You will quickly come to a small double roundabout, contine straight across towards central Bletchley keeping the Tesco’s store on your left hand side. You will now be on a dual carriageway.